Please Select The State You Will Be Installing Your Alarms In To See What Legislation Laws Might Affect You. Smoke alarms are generally required in residential settings. For all new construction hard-wired alarms are required. Smoke alarms are generally required in residential settings. Hard-wired smoke alarms are required in all new construction in local jurisdictions that have adopted IRC 2006 or 2009. Code adoptions occur at the local level in Alaska. CO alarms are required in all residential structures with fossil fuel heating appliances, attached garages or enclosed parking. Smoke alarms are generally required in residential settings. Hard-wired smoke alarms are required in all new construction in local jurisdictions that have adopted IRC 2009. Code adoptions occur at the local level in Arizona. The City of Phoenix requires that solely battery-operated smoke alarms be replaced with smoke alarms with 10-year sealed lithium batteries once existing alarms expire. This amendment affects only existing dwelling units that are allowed to have solely battery-operated smoke alarms, which limits the scope of this regulation to single-family homes and apartment units built prior to 1998 in the City of Phoenix. Code requires CO alarms on each floor of newly constructed one and two-family dwellings. Smoke alarms are required in all residential settings. Hard-wired alarms are required in all new residential construction. Alarms are widely required in all bedrooms and hallways, on every level of the home. All smoke alarms solely powered by a battery are required to feature a non-replaceable, non-removable battery that is capable of powering the smoke alarm for a minimum of 10 years. Smoke alarms are generally required in residential settings. Hard-wired smoke alarms are required in all new construction in local jurisdictions that have adopted IRC 2015. CO alarms are required in new and existing single and multi-family dwellings. Effective date: July 2009 Denver: Upon expiration of currently installed battery-operated CO alarms, alarms shall be replaced with CO alarms featuring 10-year lithium batteries. Combination smoke/CO alarms are exempted from this requirement. Smoke alarms are generally required in residential settings. Hard-wired smoke alarms are required in all new construction in local jurisdictions that have adopted IRC 2012. CO alarms are required outside of each separate sleeping area, in the immediate vicinity of the bedrooms, in all newly constructed one and two-family dwellings and town homes not more than three stories. Effective date: January 2017 Chapter Number 349 requires the installation of hardwired, interconnected CO alarms in each sleeping area and in any room with a CO source or adjacent to an attached garage. Compliance with this requirement will be phased in, with new properties having to comply immediately (July 2018). Properties currently under construction would have until December 31, 2019, to comply, while existing properties must comply by December 31, 2020. Wilmington: CO alarms are required in all residential dwellings and mixed-use occupancies. CO alarms are required in the new construction of every building that includes a fossil-fuel-burning heater or appliance, fireplace, or an attached garage. Battery-operated smoke alarms installed in residential multi-family dwellings built before 1987 must be replaced with 10-year sealed battery smoke alarms under these conditions: if the smoke alarm is older than 10 years, needs to be replaced for any reason, does not include a date of manufacture or the dwelling’s owners cannot prove that they have a program in place to test and maintain smoke alarms and replace batteries. This requirement excludes one and two-family homes and townhomes. There is no statewide requirement for residential CO alarms. 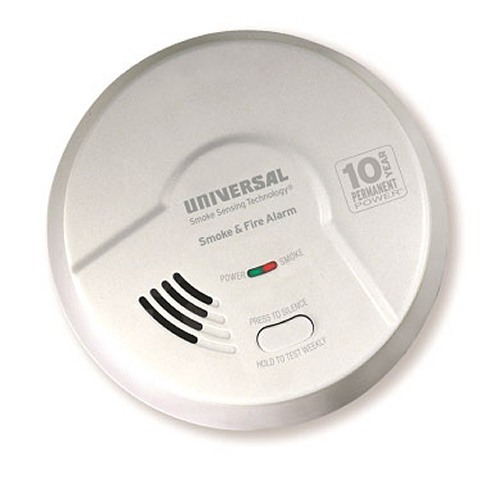 Solely battery-powered smoke alarms are required to be powered by a non-replaceable, non-removable 10-year battery. Battery-operated smoke alarms that use low-power radio frequency wireless communication signals, Wi-Fi or other Wireless Local Area Networking capability are exempt from this new requirement. The law exempts any dwelling units and hotels within municipalities with a population greater than 1,000,000 inhabitants. All residential dwellings must have CO alarms within 15 feet of sleeping areas. Indianapolis-Marion County: In new construction, smoke alarms must be installed in each sleeping room and be arranged so that operation of any smoke alarm causes all smoke alarms to sound. If the alarm is solely powered by a battery, the battery must be non-removable, non-replaceable and capable of powering the alarm for a minimum of 10 years. Battery-operated alarms connected to a panel or using low-power wireless communication signals are exempt from this battery requirement. Required smoke alarms must be dual-sensor. Both dual-sensor (photoelectric and ionization) smoke alarms and combination smoke and carbon monoxide alarms comply with this requirement. Louisville-Jefferson County: Upon sale, single and multi-family dwellings must have a hard-wired smoke alarm or a 10-year sealed battery smoke alarm. CO alarms are required in newly constructed one and two-family dwellings, town homes less than 3 stories, apartment buildings, dormitories, adult/child care facilities and assisted living facilities which contain a fuel-burning-appliance or an attached garage. All existing one and two-family dwellings must contain, at a minimum, an operable 10-year sealed lithium battery smoke detector at the time of lease or sale. The law does not pertain to newer homes built or remodeled after 1992 that are required, by law, to feature a hardwired alarm in each sleeping area and in the hallway of each floor. CO alarms are required in all newly constructed one and two-family dwellings and town homes not more than three stories. CO alarms are required in all newly constructed one and two-family dwellings, town homes not more than three stories and multi-family dwellings. CO alarms are also required in all existing multi-family dwellings, existing single-family dwellings upon sale only, and all rental dwellings. Rental occupancies where battery-operated smoke alarms are permitted (homes constructed before 1975, lodging or rooming houses, hotels, dormitories and apartment buildings) are required to have sealed, tamper-resistant alarms that include a silence/hush feature and long-life batteries upon a change in tenancy. Effective date: July 2013 Smoke alarms in one- and two-family dwellings constructed before July 1, 1975, must be AC-powered or battery-powered, provided the battery is in a sealed, tamper-resistant chamber and includes a silence/hush feature and long-life batteries. Effective date: January 2018 Baltimore and Baltimore County: Rental Licensing Regulations require hard-wired smoke detectors with battery backup to be installed in corridors outside of sleeping areas in all dwellings containing six of fewer rental units. CO alarms are required in new single and multi-family dwellings, hotels, motels and dormitories. 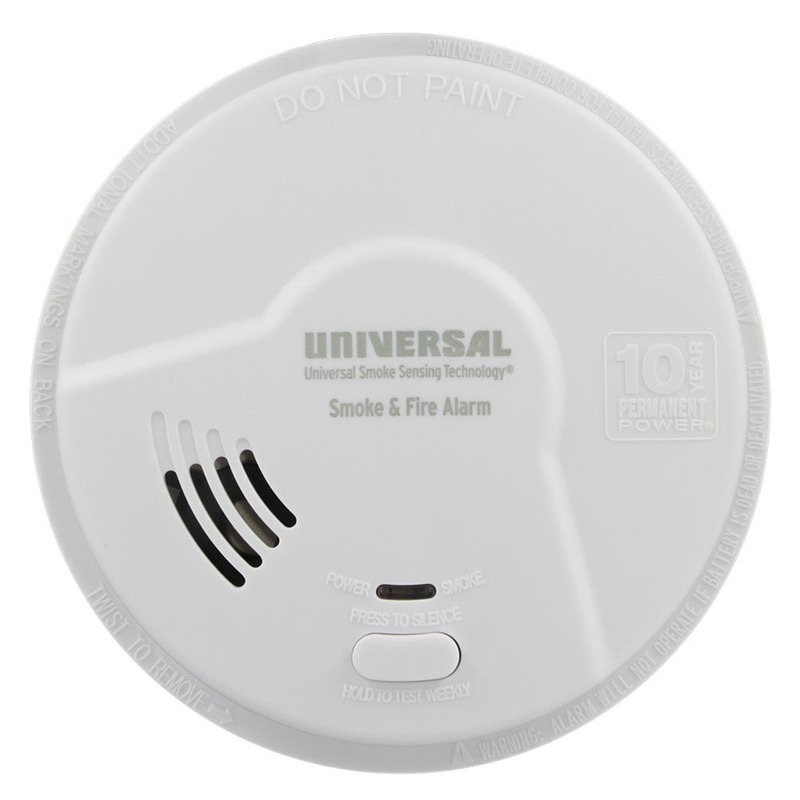 Dual-sensor or photoelectric smoke alarms are required in all newly constructed dwellings. Alarms installed within 20 feet of kitchens and full bathrooms must be photoelectric only. CO alarms are required in single- and multi-family dwellings, boarding houses, hotels, motels, dorms, apartments, adult and child care facilities. Combination devices with two or more technologies that are incorporated into one unit shall have simulated voice and tone alarm features which clearly distinguishes between two or more events such as carbon monoxide and smoke. CO alarms are required in all newly constructed one and two-family dwellings and town homes not more than three stories, and existing multi-dwelling units. Missouri has no statewide requirements, though smoke alarms are generally required in residential settings. Missouri has no statewide requirements for CO alarms. City of St. Louis: CO alarms are required in new and existing residential structures. CO alarms are required in newly constructed one and two-family dwellings and town homes not more than three stories. CO alarms are required in landlord-controlled properties. Disclosure of CO alarm presence or absence is also required when transferring title. CO alarms are required in all newly constructed one and two-family dwellings and town homes not more than three stories. Effective: January 2017 Effective date: July 2011 CO alarms are required in new multi-family dwellings, as well as existing dwellings that undergo renovation, rental properties that have a change in tenancy, and existing multi-family properties that are sold and bought. CO alarms are required in single- and multi-family dwellings built or substantially rehabbed. Smoke alarms are generally required in residential settings. Hard-wired smoke alarms are required in all new construction. 10-year sealed battery alarms are required in existing single, double and multi-family dwellings that were constructed prior to the state's adoption of the Uniform Construction Code Act of 1975. Solely battery-powered smoke alarms must feature sealed, 10-year batteries. Alarms which receive their power from the electrical system of the building, fire alarm systems with smoke detectors, fire alarm devices that connect to a panel, or other devices that use a low-power radio frequency wireless communication signal are exempt Effective date: April 1, 2019 New York City: All battery-operated smoke alarms must feature a non-removable, non-replaceable battery that powers the alarm for a minimum of 10 years. Alarms must emit an audible end-of-life signal notifying consumers at the expiration of the useful life of the alarm. This requirement applies to pre-1982 buildings that were/are not required to have hard-wired alarms. CO alarms are required in all newly constructed one and two-family dwellings and town homes not more than three stories and all rental properties. Cleveland: All battery-operated smoke detectors must be replaced with 10-year battery models upon their expiration. The requirement applies to both new and existing homes. Several municipalities have adopted regulations requiring photoelectric smoke alarms. Check with your local building department for more information. The Ohio residential smoke alarm law that requires the installation of smoke alarms with ionization and photoelectric technologies in new construction of one-, two-, and three-family dwellings. CO alarms are required in newly constructed one and two-family dwellings and town homes not more than three stories. Effective date: January 2013 CO alarms are required in existing multi-dwelling properties (hotels, motels, care facilities, multi-family housing, etc.) Effective date: January 2019 Cleveland: CO alarms are required in all rental dwelling units. CO alarms are required in newly constructed single and multi-family dwellings and existing single and multi-family dwellings when sold or transferred. Effective date: April 2011 CO alarms are required in all rental properties. 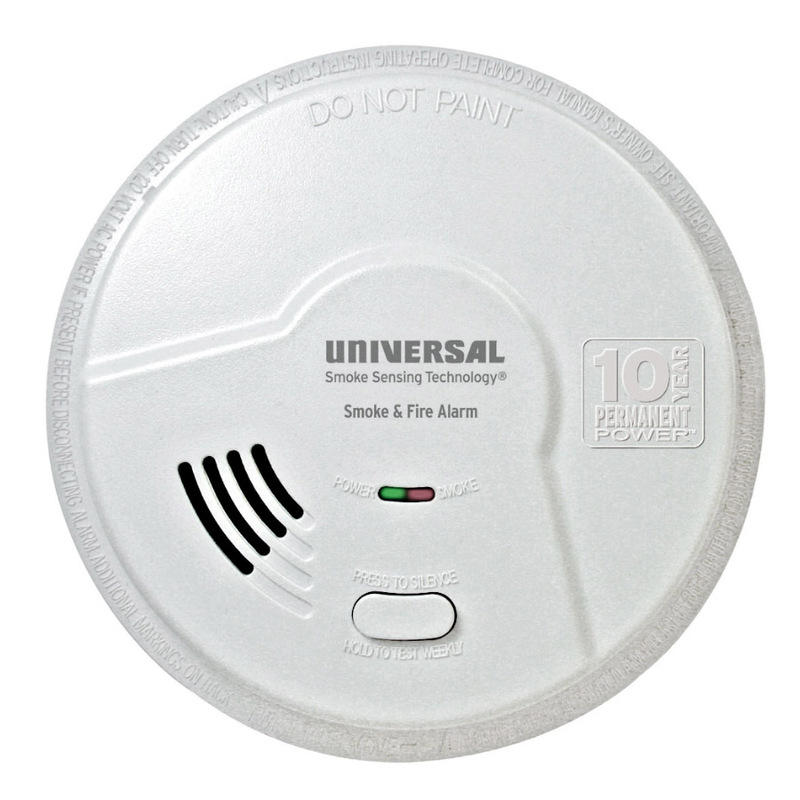 Philadelphia: Local law requires that solely battery-powered smoke alarms feature 10-year sealed batteries. One and two-family dwellings built on or after January 1, 1988, and apartment dwelling units are not affected, as those dwellings are required to have hard-wired smoke alarms. CO alarms are required in all one, two, and three-family dwellings; hotels; dormitories; apartment buildings; and daycares. CO alarms are required in all newly constructed dwelling units and occupancies. CO alarms are required in newly constructed one and two-family dwellings, townhouses, R-2, R-3 and R-4 occupancies. Houston: Single-station battery-operated smoke alarms must be replaced with 10-year battery alarms upon their expiration and replacement. The law includes exemptions for additional smoke alarms that are installed beyond the building’s current requirements, as well as alarms connected to a fire alarm system. CO alarms are required in all newly constructed one- and two-family dwellings and town homes not more than three stories. Effective date: November 2006 CO alarms are widely required in all new and existing dwellings. 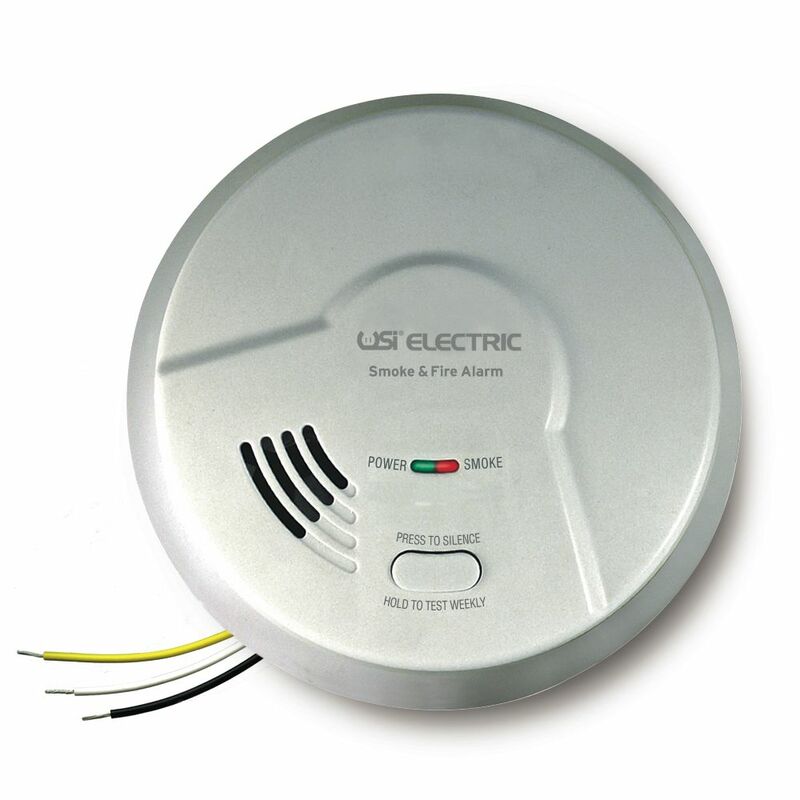 Photoelectric smoke alarms are required to be installed near bedrooms and on each floor of newly constructed single and multi-family dwellings. They are also required to be installed before the sale or transfer of existing single-family homes. Effective date: January 2011 Smoke alarms are generally required in residential settings. Hard-wired smoke alarms are required in all new construction in local jurisdictions that have adopted IRC standards. Smoke alarms with sealed 10-year batteries are required in apartment and condominium buildings before January 1, 1994. CO alarms are required in all newly constructed one and two-family dwellings and town homes not more than three stories. CO alarms are also required upon initial occupancy or real estate transfer. CO alarms are required in all newly constructed one and two-family dwellings and town homes not more than three stories. Effective date: July 1998 CO alarms are required in existing apartments, hotels and other group occupancies, as well as in rented one and two-family dwellings. Effective date: September 2012 CO alarms are required in all new multi-dwelling units, hotels and other group occupancies. CO alarms are required in all dwelling types: New multi-family dwellings (effective October 2008) Existing multi-family dwellings (effective April 2010) New and existing one- and two-family dwellings (February 2011). It is important to make sure your home, business, motorized dwelling or indoor enclosures are up to code and meet your states legislative requirements. America's fire death rate is one of the highest per capita in the industrialized world. Fire kills approximately 3,000 and injures approximately 20,000 people each year. The majority of deaths are in homes without a working smoke alarm. A smoke alarm greatly reduces your chances of dying in a fire. Many states have requirements on what type of alarm you need and where those alarms should be installed. Install at least one in every floor including the basement and attic and inside each sleeping area. Ensure that all members of your family can hear the smoke alarm. If someone is hearing impaired, install alarms that flash a strobe light as well as sound an alarm. Smoke alarms are installed outside each sleeping area, in every bedroom and above stairwells. Mount alarms high on a wall or on top of the ceiling. Position wall-mounted alarms with the top of the alarm 4-12 inches (10-30 centimeter) from the ceiling. Position ceiling-mounted alarms at least 4 inches (10 centimeters) away from the nearest wall. In stairways with no doors at the top or bottom, install alarms anywhere along the path smoke would take as it traveled up the stairs. Don’t install a smoke alarm near a window, door, or forced-air register where drafts could interfere with its operation. The moving air can blow smoke away from the alarms sensor. To avoid false alarms, keep smoke alarms at least ten feet from stoves and steamy showers. Carbon monoxide poisoning is the second most common cause of non-medicinal poisoning deaths in the U.S. According to the CDC, over 10,000 people are poisoned by carbon monoxide each year and need medical treatment. Also, more than 438 people in the U.S. die annually from carbon monoxide poisoning. With the number of illnesses and death caused by high levels of carbon monoxide (CO) in homes and buildings, state legislatures have begun adopting laws mandating the use of carbon monoxide detectors. The mandate varies from every enclosed room being required to have detectors, to every room that has a smoke alarm to have a detector, with only day-care centers and group homes needing detectors. 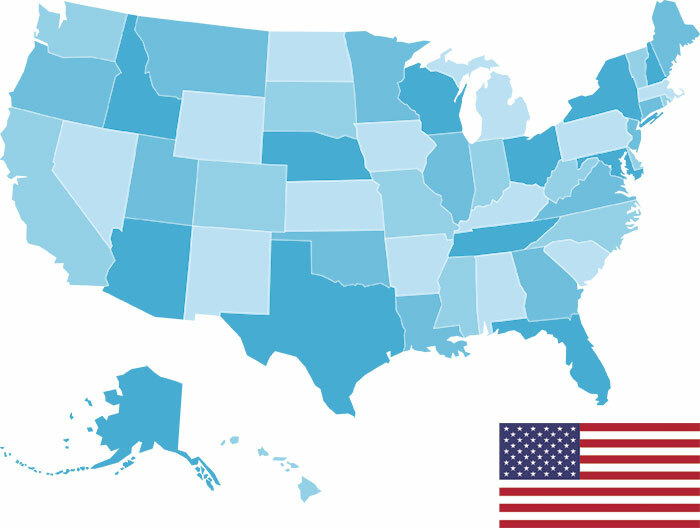 A majority of states have enacted statutes regarding carbon monoxide (CO) detectors, and another 11 have promulgated regulations on CO detectors. Please Note: The information referenced on this page is for educational purposes only. If you are a homeowner, landlord or tenant with questions about smoke alarm or carbon monoxide detector requirements in your area, please contact your state or local authorities for more information. The information referenced on this page is for educational purposes only. If you are a homeowner, landlord or tenant with questions about smoke alarm or carbon monoxide detector requirements in your area, please contact your state or local authorities for more information. USI offers a variety of home security, safety and convenience products. Still Have Questions Or Need Help Buying?